CaptainKudzu: Is Osama bin Laden really dead? In the days since Osama bin Laden’s death was announced, doubts have begun to emerge about whether bin Laden was really killed by US Navy SEALs in the May 1 raid on his home in Abbottabad, Pakistan. Some of the doubts are predictable, coming from Arab nations where the people have been conditioned by their leaders to question anything the US says or conspiracy theorists who believe that nothing is as it seems. Let us once again don our tinfoil hats to examine the various conspiracy theories surrounding Osama bin Laden’s death. Some critics cite the numerous changes to reported details of the raid. There are questions about whether bin Laden was armed, whether his daughter or wife was shot trying to defend him, and whether he was given the chance to surrender. This type of confusion is typical of the heat of battle and even has a name: “the fog of war.” In almost every military action, it takes time to sort out the details. Much of the domestic doubt comes from the circumstances surrounding the raid. First, the fact that bin Laden’s body was buried at sea before the news about his death broke is odd under the circumstances. Reportedly, an early plan to kill bin Laden involved using Air Force B-2 Spirit stealth bombers. Obama vetoed the bombing plan because he wanted a positive identification of bin Laden. Obama was also concerned about the possibility of collateral damage to other people in the compound or nearby. Foreign news sources are reporting that President Obama actually witnessed the killing of bin Laden via a live video feed from a camera mounted on the helmet of one of the US Navy SEALs. If this is true, the president may have been so certain about bin Laden’s identity that he failed to consider that the rest of the world would want proof that was more tangible than a DNA test report. Much of the international doubt about the US claim is due to the fact that the US has not provided any concrete evidence of bin Laden’s death. On Wednesday, May 4, the White House announced that the photos of bin Laden’s body will not be released due to concerns that they might incite more violence. While this sort of secrecy is normal for the Obama Administration, which is infamous for urging legislators to vote for bills that they have not been allowed to read and even accepted an award for transparency in government in secret, it seems likely that not publishing the photos will lead to more doubts and conspiracy theories both at home and abroad. Obama should realize this since it has only been a few days since he dealt with the conspiracy that he was not a natural born American. He finally released his long-form birth certificate after three years of controversy, a delay that allowed the birther conspiracy to grow to mythic proportions. Obama also suffers from a credibility gap of his own making. For example, Obama stressed during the campaign that he would not raise “any form of” taxes on families earning less than $250,000, yet that promise did not last three months. The first tax increase was on the federal cigarette tax. The health care reform law included still more tax increases on all Americans. Obama also claimed that health care reform would lower costs, yet after the bill became law he admitted “that as a consequence of us getting 30 million additional people health care, at the margins that’s going to increase our costs, we knew that. We didn’t think that we were going to cover 30 million people for free….” Americans have become used to Barack Obama saying one thing and doing another. As a result, more Americans want proof to support his claims. Logically, it is reasonable to take President Obama’s word that Osama bin Laden was killed in Abbottabad Sunday night. If Obama were wrong, it would be a simple matter for bin Laden to prove that he is alive by releasing a videotaped message, as he has several times since 2001. If bin Laden surfaced alive now, President Obama – and the United States as a whole – would look ridiculous. There are only two plausible theories in which bin Laden might still be alive. The first is if his body was misidentified. It is conceivable that bin Laden may have had body doubles to confuse would-be assassins. It is rumored that Hitler had a similar double. The use of DNA to confirm bin Laden’s identity would seem to preclude this possibility. The other is if he was captured by the SEALs rather than being killed. It is possible, but extremely unlikely, that bin Laden is alive and in the brig of a US Navy ship somewhere in the Middle East. If al Qaeda believed that bin Laden was dead they might be slower to change procedures and tactics than if they believed that he was alive and undergoing waterboarding at the hands of American interrogators. If the SEALs were able to extract bin Laden alive, it would be an intelligence coup that would allow US forces to penetrate all levels of the terrorist organization. On Wednesday, May 4, the author took an informal (not statistically valid) survey of some of the residents of West Georgia to see whether they believed the conspiracy theories about bin Laden. No one admitted to believing that bin Laden was still alive, although almost all thought that the president should release the pictures to confirm the kill. Interestingly, about half of the respondents believed that it was at least possible that bin Laden had been dead for years. Several of the Georgians questioned by the author cited the possibility that Osama bin Laden had been killed in the Battle of Tora Bora, which took place in December 2001. According to the official version, Osama was originally believed to have been killed in an air strike called in by US Army Delta Force commandos. Years later, in October 2004, when bin Laden released a new video, it was evident that the Coalition forces had not killed him. Subsequent intelligence revealed that bin Laden had escaped from Tora Bora on horseback. 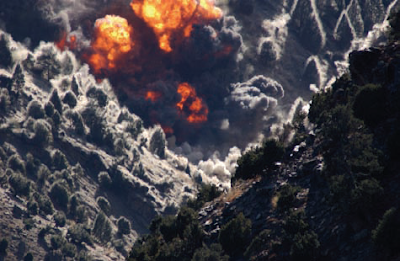 There are two problems with the theory that bin Laden died in Tora Bora. The first is that bin Laden released over a dozen recorded video and audio messages since 2001. Many of these recordings were authenticated by US and other intelligence services. In many of the recordings he mentions events that happened after 2001, such as the invasion of Iraq, proving that he survived Tora Bora. Second, if the Coalition forces had killed bin Laden years ago, they would have certainly said so. President Bush was heavily criticized for his inability to bring bin Laden to justice. If he could confirm that bin Laden was dead, he would have made the news public to help his own image. Bin Laden’s ability to elude capture likely also convinced many Muslims that Allah favored him. Announcing his death years ago would have made fighting the War on Terror much easier for the US and its coalition partners. There are some conspiracy theories involved with bin Laden’s death that sound more plausible. On theory is linked to the belief that President Obama is a Muslim. That theory was debunked here last year, but President Obama’s decision to provide bin Laden with a quick burial in accordance with Muslim law has revived claims that he is more interested in not offending Muslims than in the need of the American people for proof and closure. According to ABC News, bin Laden’s body was given a ceremonial washing before it was wrapped in white sheets. A military officer, probably a naval chaplain, read religious rites which were translated into Arabic. At the conclusion of the 45 minute service, bin Laden’s body was lowered into the sea in accordance with Islamic custom. The service took place aboard the aircraft carrier USS Carl Vinson. Incidentally, the ship is named for a Georgian who headed the House Armed Services Committee and served the House of Representatives for 50 years. It is likely that respect for Islamic tradition did help sway Obama’s decision to bury bin Laden at sea. Obama grew up attending Muslim schools and studying the Koran. In the White House, he has celebrated Ramadan and repeatedly spoke out in defense of Islam, including the plan to build a mosque near Ground Zero. While none of this makes Obama Muslim, it does suggest that he is sympathetic to the Muslim religion and its practitioners. His desire not to offend Muslims around the world likely affected his decision to comply with Islamic funeral customs. Another plausible theory involves the timing of the raid. In another foreign press account, it is revealed that documents posted online by Wikileaks in the past few days referred to the CIA’s interest in Abbottabad as the possible location of al Qaeda leaders and couriers. Additionally, a CIA agent, Raymond Davis, was arrested in Pakistan about 200 miles from Abbottabad. Davis was possibly working against bin Laden’s courier network. Finally, an article in the Asia Times reveals details about bin Laden’s movements in Pakistan. 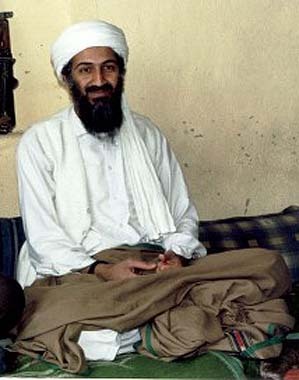 US officials likely feared that if they did not move against bin Laden soon, he would become aware from one or more of these sources that American anti-terrorist forces were closing in on him. If bin Laden were alerted, he would run and the Americans would have to start the search again. The Navy SEALs arrived before bin Laden could disappear. One of the most plausible conspiracy theories about bin Laden’s death is that some sympathizers in the Pakistani government had an inkling that Osama may have been in Abbottabad. His presence probably wasn’t obvious. He likely didn’t leave his compound to walk the streets, but the size and nature of his compound drew suspicion around the world in Washington. It seems that it would have drawn suspicion in Islamabad thirty miles away. It is not farfetched at all to think that many members of Pakistan’s government and military would be sympathizers to bin Laden and al Qaeda. The Mumbai terror attacks originated in Pakistan and as late as 2009 al Qaeda was so strong in the country that they tried to fight a conventional war against the Pakistani army in the Swat Valley. Al Qaeda penetration of Pakistan’s ISI intelligence service is suspected and may have contributed to the death of Benazir Bhutto in 2007. It is therefore no surprise that the US did not involve Pakistan in the raid. 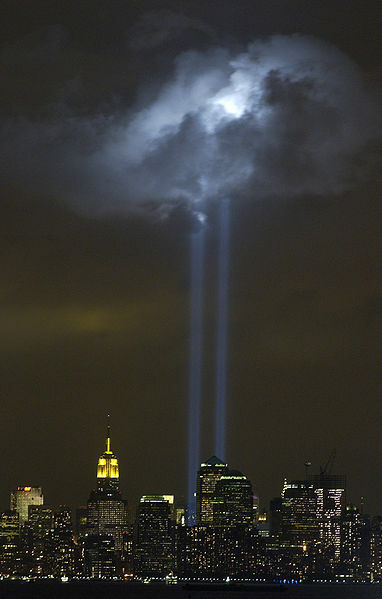 Twin beams of light from Ground Zero on the anniversary of 9/11. As Alan Dershowitz writes in the Wall St. Journal, it is too late to allow an examination of bin Laden’s body to confirm when and how he died, but it is not too late to release the pictures. After four days, even if the pictures are released there will be conspiracy theories since there has been plenty of time to doctor the photos, but it would be better late than never. If Obama persists in keeping the pictures secret, the world will never fully believe that bin Laden is dead and it will lend credence to terrorist recruiters who will claim that he is alive and under Allah’s protection. Among those who believe that bin Laden is dead, the pictures may help to alleviate concern that he was murdered or shot in the back. The United States military has won a great victory in the war against Islamist terrorist. Releasing the pictures of bin Laden’s body can only add to that victory.